100% Design (20-23 Sept 2017) is the largest and longest-running design trade event for architect and design professionals in the UK. 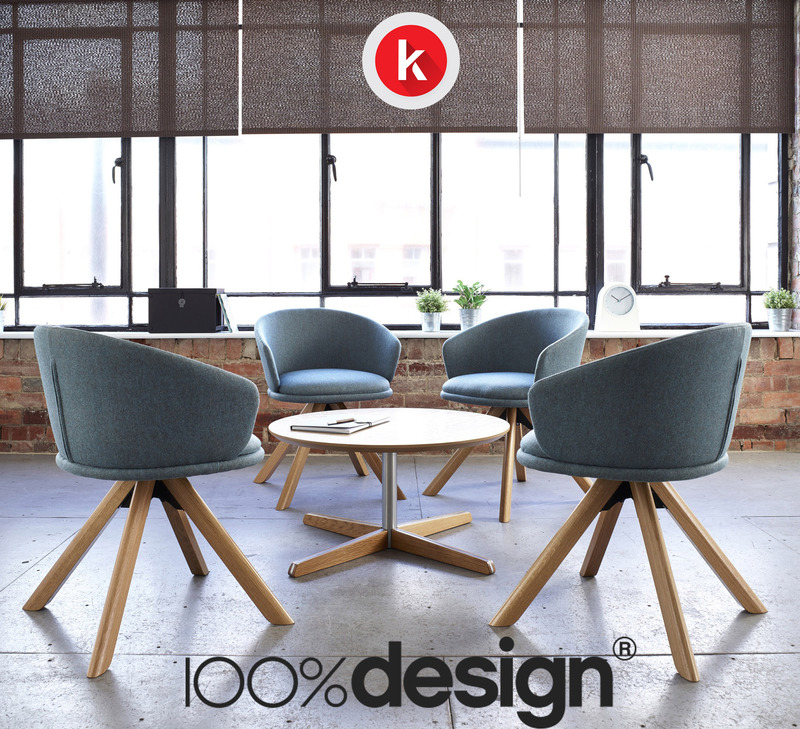 This September, Knightsbridge will be showcasing its spectacular Bebop Collaborative Range, a modular seating and table system with coordinating swivel tub chairs and coffee tables, and Alfie at stand number DL9 at 100% Design. Knightsbridge has been designing and manufacturing quality British contract furniture from its site in Yorkshire for almost 80 years. Knightsbridge take enormous pride in facilitating the entire production and delivery of its products. Bebop is a range of modular seating and booths designed to give the greatest flexibility when selecting furniture to meet any exacting need. Bebop was designed by international award-winning furniture designer David Fox whose timeless minimalist designs have been winning praise for more than a decade. His product designs have won 17 awards including Red Dot, Good Design Award and the FX product designer of the year. The Bebop booth and study bays are designed to allow for occasional meetings giving both privacy and comfort, whilst the simple curves of sectional seating designed to display comfort. High and low back seating can be mixed and matched allowing clients to create collaborative work environments. Clients are also able to choose their own fabric covering due to the wide range of fabrics and leathers available. Alfie is a striking lounge chair that features angular lined complemented with a masculine finish making it the perfect standalone feature for a meeting room or breakout space. Alfie was designed in collaboration with Sean Dare, one of the UK’s most exciting furniture designers, and is inspired by the 1960’s cult film of the same name. Knightsbridge, with workplace needs in mind, designed its Alfie chair to help encourage social interaction between colleagues and heighten productivity and the wellbeing of employees by crafting the piece to feel remarkably reminiscent of the home environment. Find out more about the complete Alfie range here or find out more about the complete Bebop range here.